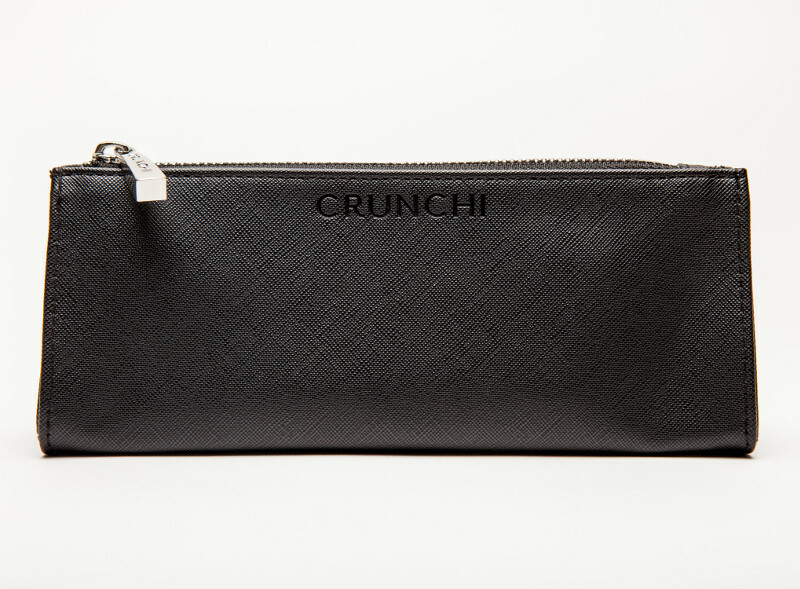 The Search for the Perfect Makeup Bag is Over. 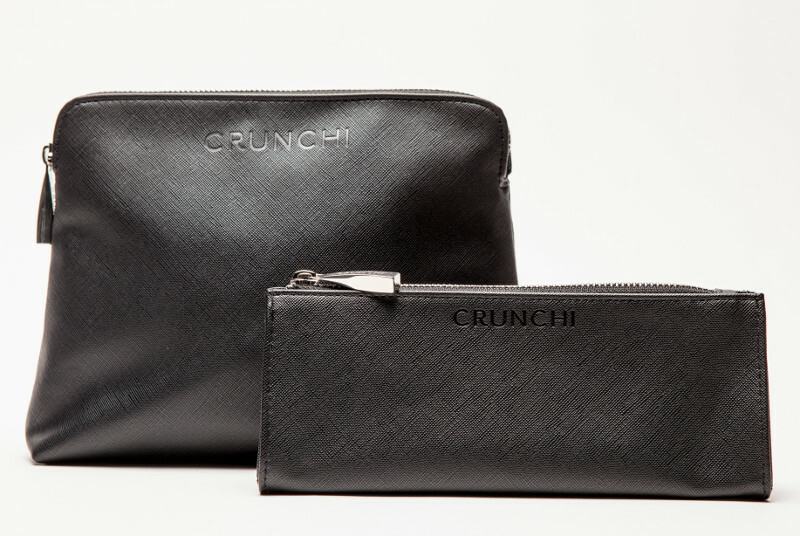 Thoughtfully constructed with durable, quality materials, designed for optimal functionality, and refined with chic sophistication. Truly in a league of its own. 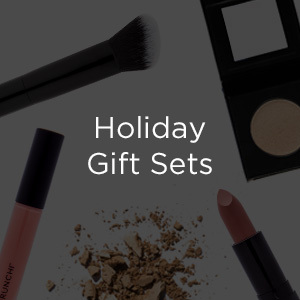 "These makeup bags are beautiful! 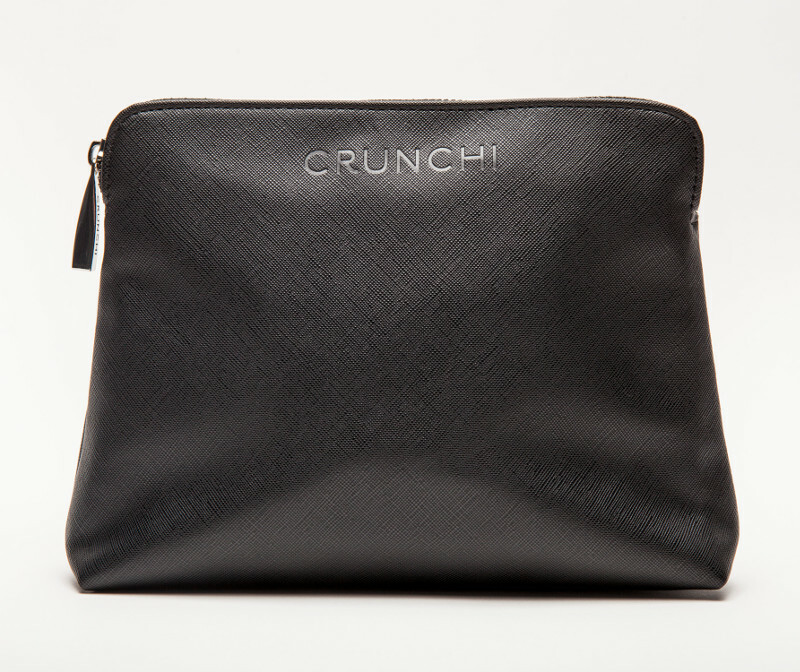 I love the quality zippers, the great storage and that they are perfect for daily use as well as travel. The vegan leather reminds me of a high-end designer handbag!" - Tonya W.
This gorgeous, lightweight, flexible and highly resilient material provides the most realistic imitation of high-quality leather. Solid, polished chrome zippers and pulls, inspired by high-end handbags, elegantly finish this must-have accessory. Constructed without the use of any animal sourced materials. The high quality, thick, durable cross-hatched pattern of our Saffiano faux leather is resistant to water and scratches. 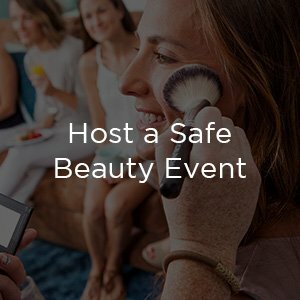 Products were not tested on animals and no animals were harmed at any point during the production or development of these makeup bags. 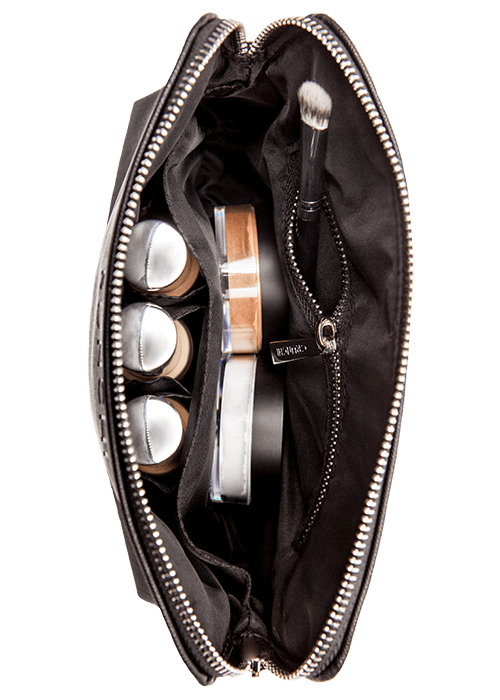 Our "Jetsetter" is designed with custom inner sleeves to perfectly store Crunchi Smart Primer and Beautifully Flawless Foundation glass bottles, multiple functional compartments, and a zippered inside pocket. From your vanity to your handbag or suitcase, there are endless uses and possibilities for the perfectly sized upscale designs of the "Jetsetter" and the "Day Trip". H 7" x W 9.5" x D 2.75"
I have to tell you that the Jetsetter is hands down my favorite makeup bag I’ve ever owned for a number of reasons. It’s thick and durable- I’m tough on my belongings, and it holds up so well. The POCKETS! Ok, so I know the 3 pockets are for Crunchi foundation bottles, but they’re also such a wonderful way to organize all of my mascaras, eyeliners, etc. 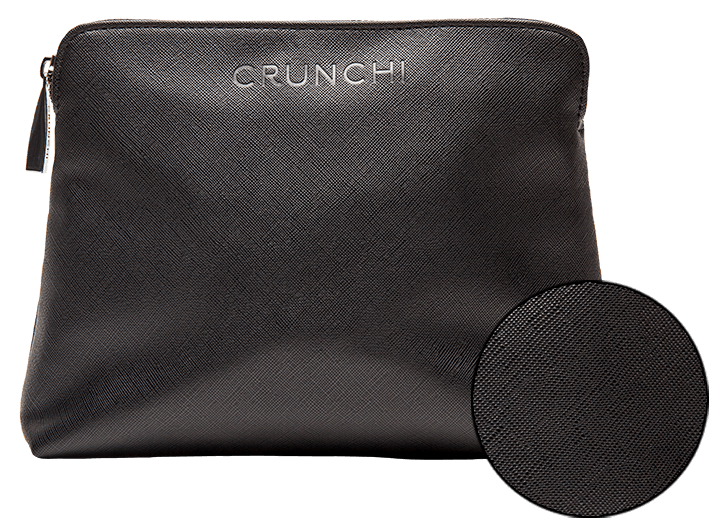 The small pocket is great for single eyeshadows or the Crunchi blush. Then the center divider helps keep the larger items separated and organized. I’m continuously amazed at how much product I can fit in this bag, and I love knowing where everything is without having to waste time digging around. It’s wonderful for travel (hence the name). I feel very chic and sophisticated when I reach for this in the morning. And lastly, it’s easy to clean inside and out. Just opened my box!! I can’t wait to travel now! 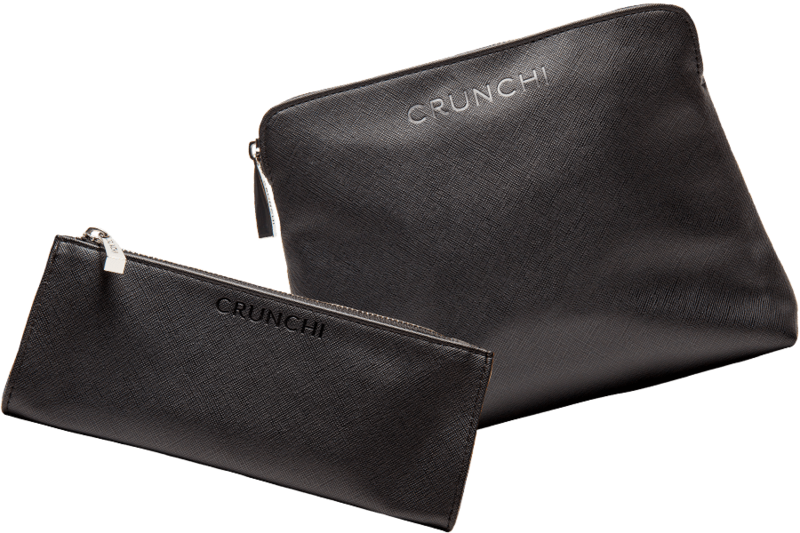 I LOVE the quality of the material and the zipper, although I expected nothing less from Crunchi. I can tell these will last for years! Our Jetsetter Luxury Vegan Makeup Bag is made with high-quality, lavish Saffiano faux leather and is what makeup bag dreams are made of! 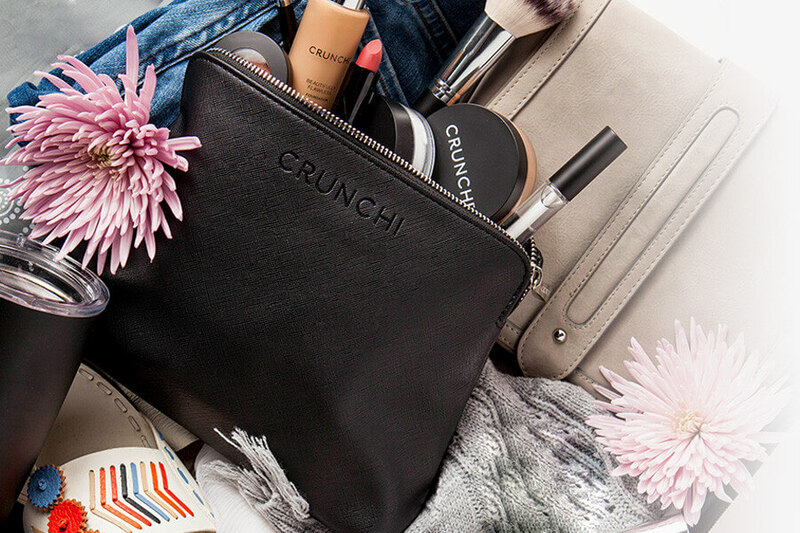 Designed with custom inner sleeves to perfectly store Crunchi Smart Primer and Beautifully Flawless Foundation glass bottles, multiple functional compartments, and a zippered inside pocket. 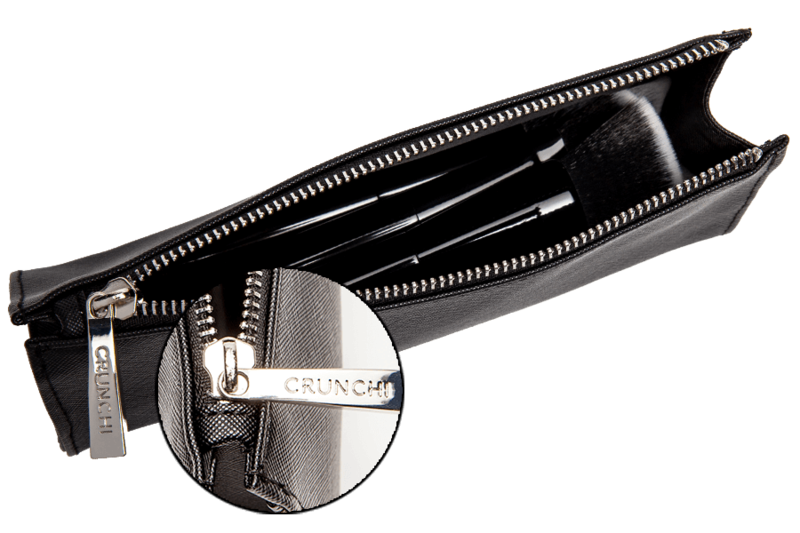 Solid, polished chrome zippers and pulls, inspired by high-end handbags, elegantly finish this must-have accessory. 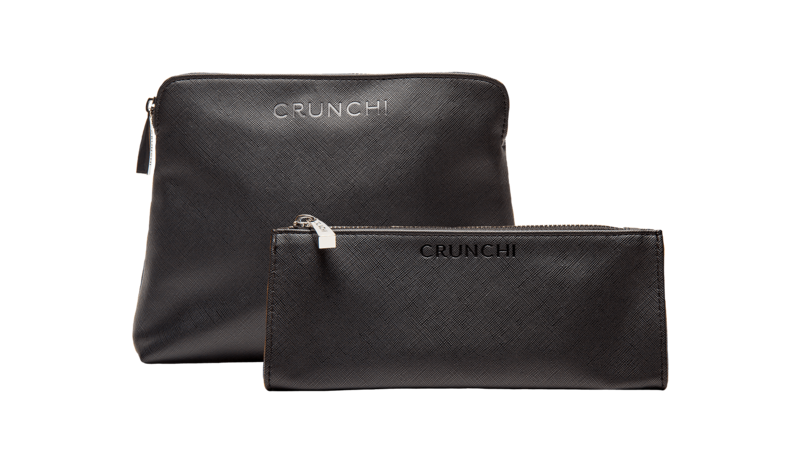 The Jetsetter will make traveling with your Crunchi products a breeze.